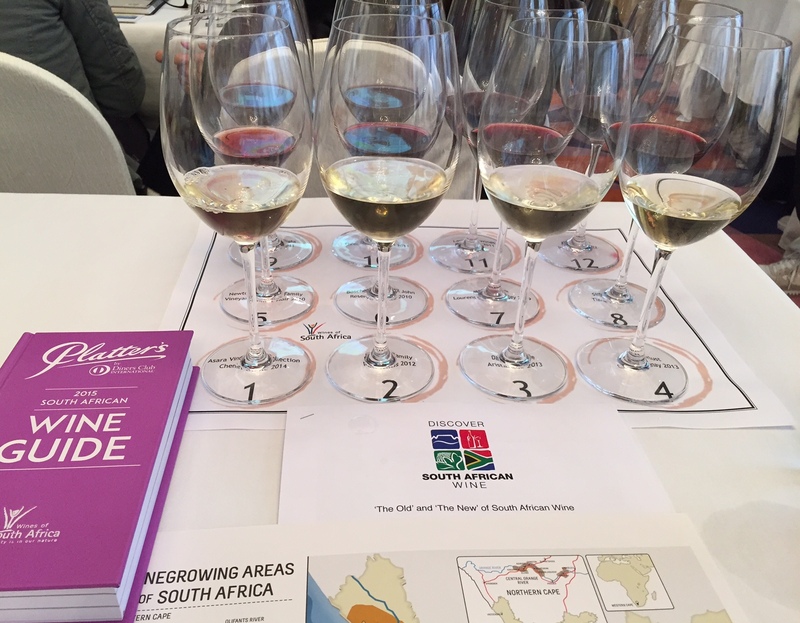 Wines of South Africa – now is the time to get onboard! Helderberg Vineyards. Photographer: Erica Moodie. Credit: WOSA. A celebration of South African wine is taking place in Hong Kong at the moment with Wines of South Africa (WOSA) offering a range of events across the city. In response to a growing export market in China and Hong Kong, WOSA recently opened an office in Hong Kong to support a calendar of promotional activities throughout the year, including the wine workshop I attended this afternoon. WOSA is an industry body dedicating to showcasing the wines from South Africa on the international market. The workshop was led by Michaela Stander, Marketing Manager, Asia, WOSA and Pete Gottgens, General Manager and Chef of Asara Wine Estate and Hotel, who between them demonstrated considerable experience and knowledge of not only the wine industry but also hospitality and how wine fits within that industry. South Africa is a rich and diverse country with a myriad of flora, fauna and soil types, not to mention a wealth of cultural influences from the many communities who have made the country their home and this provides an ideal setting for producing equally diverse styles of wine. Despite having a history of winemaking, which can be dated back to February 2, 1659, thanks to the meticulous record keeping of Jan van Riebeeck, the first governor of the Cape, it is only relatively recently that the country has joined the international wine community. Chenin Blanc and Pinotage, being the signature grapes of South Africa, dominated the tasting during the workshop and what was impressive was the sheer breadth of styles showcasing these two grapes. With around twice as much Chenin Blanc planted in South Africa as the grape’s ancestral home of the Loire Valley, it was only natural we would begin the tasting there. Styles were varied and included the fresh and lifted 100% Chenin Blanc from Asara Wines as well as the richer Sadie Family Palladius, a blend of old vine Chenin and Viognier, which was altogether rather delicious, offering ripe stone and citrus fruits, the heady perfume of honeysuckle flowers and finishing off with savoury notes of dried fruits and toasted nuts. Nine red wines followed and included a Pinot Noir, which is not widely planted in South Africa, a Shiraz from one of the country’s oldest wine estates, Boschendal, the beautifully classic Bordeaux blend from Morgenster Estate and several examples of Pinotage, each very different in style. The final Pinotage from Kanonkop (2012) was a particular favourite with its carefully crafted structure that perfectly places ripe red and black fruits, spice and herbs within a well-balanced frame of fruit sugar, acidity and tannin. Layers of flavour continue to unfold long after the final sip of wine, providing a depth and complexity that never fails to satisfy. Wine from South Africa is coming into its own by building on the intellectual capital of the country’s wine professionals, which has grown through travel and dedicated engagement with the international community. The workshop clearly demonstrated South Africa’s rightful place amongst serious wine producing nations. Now is the time to get involved, whether it be trying a South African wine for the first time, adding South African wine to your investment portfolio or by diving right in and attending the Cape Wine festival in September this year, where you can get up and close and personal with the best South Africa has to offer! No idea you were a big fan of S.A. Its prob my fave country for innovation right now. And the scenery: heart-stopping. Absolutely! Am very seriously considering going to the Cape Wine event in September – looks fantastic!